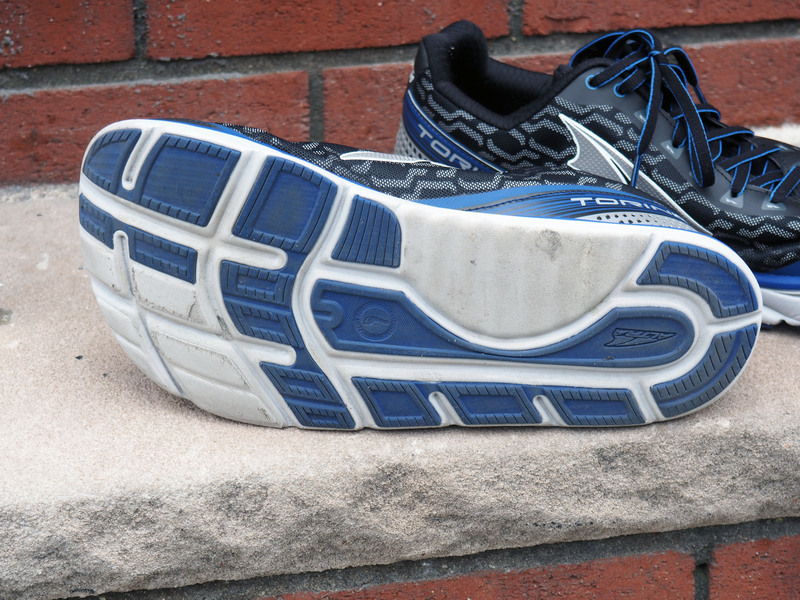 Altra’s Torin IQ were inevitable. 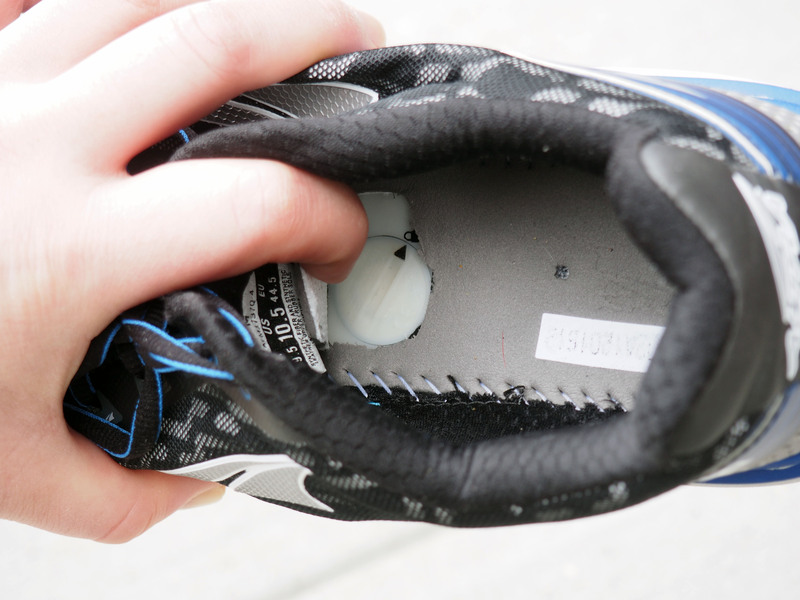 Sensors integrated into articles of clothing have long been acknowledged to be the next step in wearable tech, and the Utah-based footwear maker just happened to beat most of its competition to the finish line with a pair of running shoes that bake tracking directly into the sole. But unlike the scads of smart clothing that’s almost certainly on the horizon, the IQs are designed to address the very real issue of repetitive stress injury. It’s what turns running from a terrific full-body cardio workout into a veritable disintegrator of body parts. And it’s what made me jump at the opportunity to have a go with the company’s new smart kicks. I only recently started running again after systematically grinding every joint and muscle below my waist into a fine powder. For all the health positives of running, doing it for any extended period of time can be downright destructive. And the common wisdom among many runners is that modern running shoes only exacerbate the issue with over-padding that masks the warning signs our bodies have evolved to let us know when we’re doing it. It’s why you briefly saw so many folks running around with those ridiculous toe shoes a few years back. To answer your question, yes, they think they’re better than you, but they don’t have to say it because their shoes have done all the talking. For those less inclined to adopt barefoot or near-barefoot running, there are plenty of shoes on the market designed to correct for common running problems like pronation and supination. Like many other runners, I tend toward the former, and it’s left me with a limp on numerous occasions, along with a laundry list of different issues like heel bursitis and plantar fasciitis, to name a few. I had to get shots in my foot to relieve inflammation. I don’t recommend it. Any decent running store should have some sort of rig in place to better measure your impact. After recovering from my injuries the first time, I visited a store in Manhattan with a treadmill and camera rig designed to capture the runner’s foot strike at the moment of impact. Torin IQ’s sensors are an attempt to provide a longer-term solution in real time. The app divides the bottom of the foot into sectors: heel, toe and left and right sides. A built-in audio assistant helpfully offers tips for correcting runs in real time, along with your standard array of motivation sentiments. And when a run in finished, it shows a breakdown of how you landed. This is far and away the shoes’ most useful smart feature. They’ll also tell you the time spent running, cadence, distance, pace and the like, but you’re not really getting much there that you aren’t already getting on your wrist-worn wearable — or even your phone with its built-in pedometer. 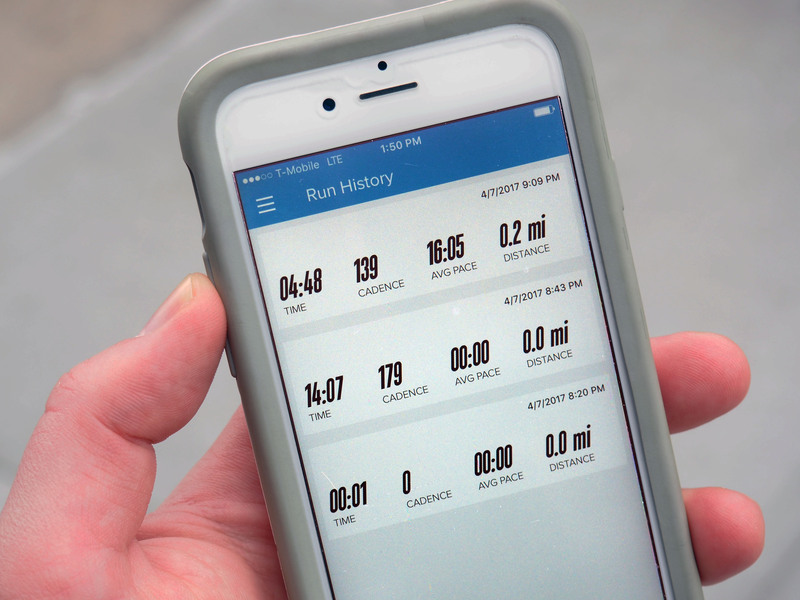 Also, runs need to be initiated through the app, rather than starting automatically (which includes a sometimes lengthy auto-syncing process), and distance works through GPS tracking, meaning if you’re mostly a treadmill runner like I am, that feature is more or less rendered moot. For those reasons, the Torin IQs shouldn’t be considered a fitness band replacement, so much as a supplement. Perhaps even most importantly, however, the shoes are extremely comfortable. Individual options will surely vary for something as objective as shoe comfort, but the Altra’s are one of the most comfortable pairs of running shoes I’ve owned in recent memory, and they shockingly took little breaking in, whereas other footwear brands can sometimes take weeks of running to get a truly comfortable fit. I suspect at least some of that is owed to the company’s Foot Shape front feature, which offers good breathing room for the toes, an often overlooked element in selecting a good pair of running shoes. The tracking system also doesn’t seem to add any discernible weight to the pair. I’ll be curious to see how the things hold up after a few months. I’ve owned another pair of Altras (the decidedly lower-cost Impulse) and I wore a giant hole in the side of the thing after a couple of months. The company has also carved a half circle in the insole through which you access the battery (the whole system should be waterproof, however), which could ultimately prove to have some integrity issues after a couple hundred miles. With an MSRP of $220, the Altra Torin IQ are on the pricey side of the running-shoe spectrum. In fact, that’s a $100 or so premium over other entries in the company’s Torin line. And unlike fitness bands, you’re really supposed to be replacing your running shoes a couple of times a year, so that number can really add up fairly quickly. Though given the fact that these are first-gen, I’d expect the price to come down reasonably quickly with subsequent releases. The Torin IQ do feel a bit first-generation in some of the execution, but the idea is actually a good one, and if they can actively help you correct your running style, in real time and long term, they’re working just as intended. And if a couple of months from now I can avoid limping and a couple of shots in my heel, I’d gladly pay that premium the next time around.